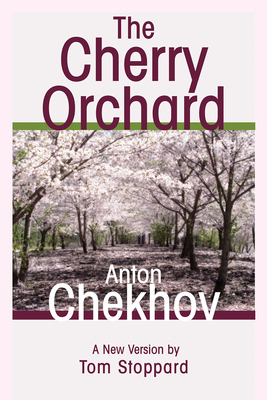 The Cherry Orchard: A Comedy in Four Acts (Paperback) | The Drama Book Shop, Inc.
Anton Chekhov was a master whose daring work revolutionized theatre. Robert Burstein declared that "there are none who bring the drama to a higher realization of its human role." In The Cherry Orchard, his last full-length play, an impoverished landowning family is unable to face the fact that their estate is about to be auctioned off. Lopakhin, a local merchant, presents numerous options to save it, including cutting down their prized cherry orchard. But the family is stricken with denial. The Cherry Orchard charts the precipitous descent of a wealthy family and in the process creates a bold meditation on social change and bourgeois materialism. Tom Stoppard's plays include Rosencrantz & Guildenstern Are Dead, Jumpers, Travesties, The Real Thing, Hapgood, Arcadia, The Invention of Love, The Coast of Utopia, and Rock 'n' Roll. In addition to The Cherry Orchard, Stoppard has adapted Chekhov's The Seagull and Ivanov.